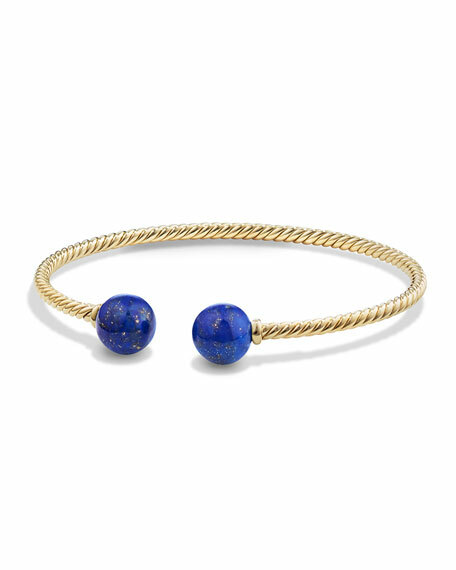 David Yurman bracelet from the Solari Collection. Twisted 18-karat yellow gold cuff, 2.6mm. Round lapis cabochon caps, 8.59mm.